It's a new Mcdonald's branch in town but it's nothing ordinary at all! If you look closer, you'll see kid-sized kitchen with super cute young crew members having so much fun while making their own McDonald's Cheeseburger. My kids Dandre and Wes (12 and 5 years old respectively) got to experience making the world-famous McDonald's Cheeseburger during McDonald's Kidzania launch. 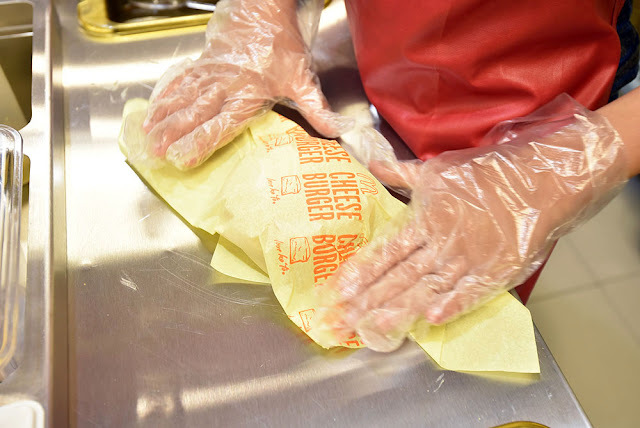 Kids four to 14 years old can experience making their own cheeseburger where they get to put together all of its tasty ingredients—100% pure beef patty, a slice of American cheese, tangy pickles, minced onions, ketchup, mustard, and perfectly toasted buns. Inside the burger shop, kids will learn the same procedure that real crew members use in preparing this delicious treat every day in over 460 McDonald’s restaurants nationwide. It was such a treat for me to see my kids actually follow instructions and diligently put the ingredients all together in cute McDonald's crew member uniforms. All the kids during their batch were so adorable in uniforms. After a long round of play, kids and parents may continue their family bonding over great-tasting food at the newly opened McDonald’s Park Triangle branch located at the ground floor beside KidZania. 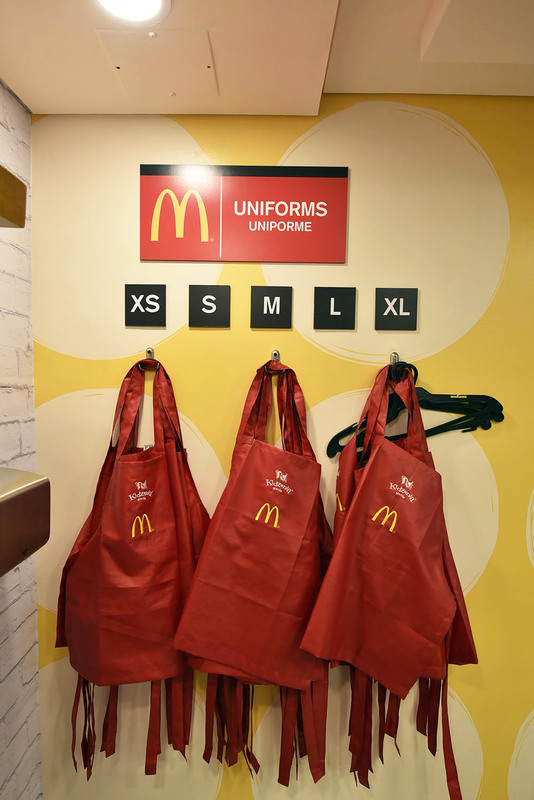 McDonald’s Burger Shop at Kidzania is one of the ways that the company champions children’s well-being. McDonald's have other activities such as its Summer Kiddie Crew Workshop and their annual McHappy Day! McDonald’s also provides an opportunity to make a difference in the lives of kids in need through the Ronald McDonald House Charities or RMHC. 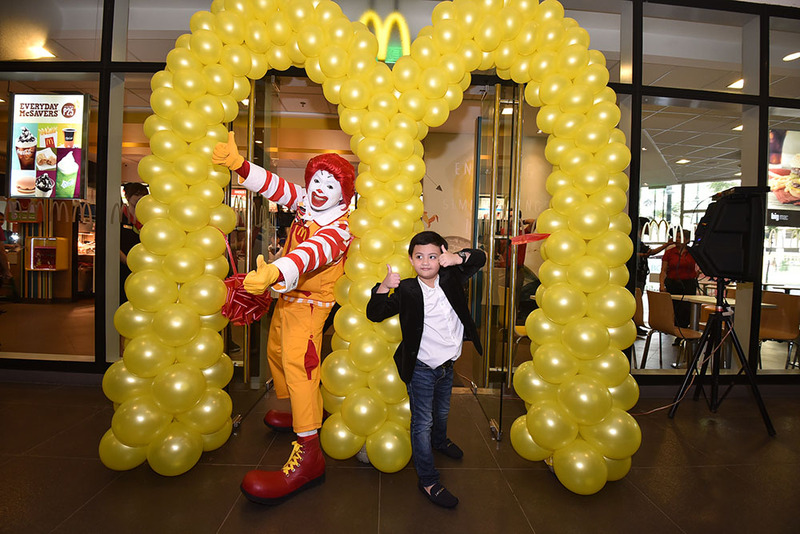 For every purchase of a McDonald’s Happy Meal, 50 centavos is donated to RMHC in support of its flagship programs, Ronald McDonald Read To Learn and Ronald McDonald Bahay Bulilit. I invite you to also let your kids explore a world of possibilities at KidZania Manila located at Park Triangle, Bonfacio Global City. Open from 9AM-4PM on Mondays to Thursdays, and 9AM-2PM and 3PM-8PM on Fridays to Sundays. For more information, visit http://manila.kidzania.com. Be sure to drop by McDonald’s Burger Shop and share your photos at McDonald’s official Facebook page, https://facebook.com/mcdo.ph. 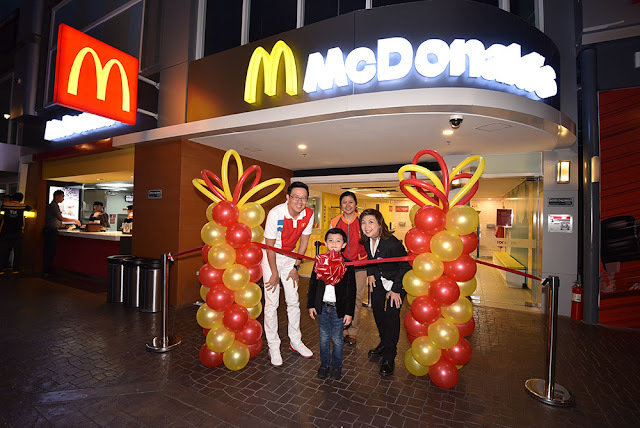 KidZanians may also tag @McDo_PH on Twitter and Instagram with the hashtag #McDoatKidZania. P500 for members, P550 for non-members. :) Thanks. You are the best! GReat List! always the first! Rustan's will be having one din yata on Oct24? Might want to ask them about the details. Also the regular places like Rockwell Tent and Shangri-La Mall? hi. here's the link for shangri-la mall. Eastwood and gateway cubao please.. When is the treat or trick in megamall? When, how and where to register? Present reciept to concierge inexchage of ticket. Thanks for this, great list! You can also include Greenfield District's trick or treat event, I think I saw it on their FB page.